Have just completed a big week on the river and getting primed for another with regular clients. I am fortunate enough to have good clients who have asked me to ring them when the fishing is at its best and they can drop tools and arrive within a few days and hopefully my judgement will be ok. I think its pretty safe to say the fishing is the best its been for about 7 or 8 years and I have called in some clients to enjoy this time. We received plenty of rain on Thursday which should set the fishing perfect for weekend anglers as they will be currently pushing through those lower reaches. 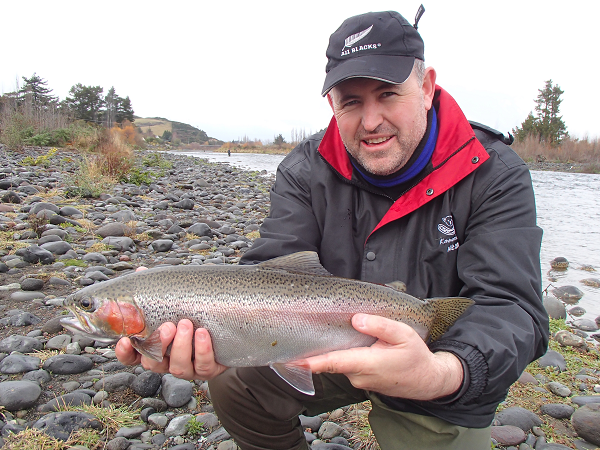 I always look forward to some good rain to move trout aboutÂ the rivers but we hardly need anymore fish in the Tongariro currently. Some believe the largest runs have not entered the river yet but I think they have, there are fish stationed in every bit of fast water in the lower river and in every good holding pool up river but in fewer numbers. If you are not catching fish at the moment(and there are a few of you) please call me and talk tactics. Fishing pressure is insane. 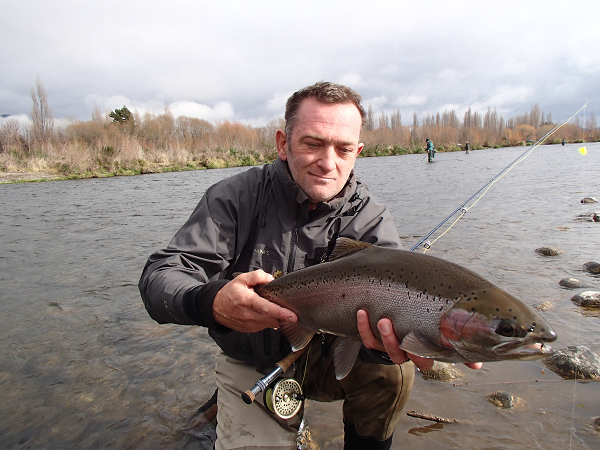 Anglers have returned to the Tongariro in force and its hard to find any water by 10 am in the lower river which has not been fished twice before you. 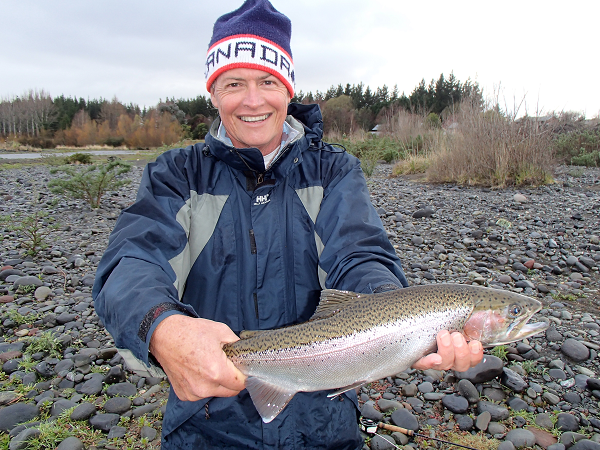 The upper river is slightly better with less anglers but harder fish to catch and less of them. We need to be careful. There are not any fisheries in the world which receive this much angling pressure from meat hunting fisherman. Sure, there are plenty of stocked fisheries which re stock the pond to entertain their guests but no wild fishery will continue to support this pressure. In saying that in the lower river this week where kind sport fishing gentleman spend their time I saw a lot of good angling etiquette and trout released with only a handful taken for eating. It’s bitter sweet letting these trout all go as I know they are going to soon get caught again in the bridge pool and killed or treated roughly resulting in death. I again depressed myself yesterday and watched some fisherman under the bridge killing prime eating fish but at the same time prime breeding stock. The trout I saw released were dragged up the rocks evaluated as “not good enough” and kicked back in the river without any attempt of revival. This is crap people. Some anglers think this is good for the river, good for Turangi as the good old days are back but if this is what the sport of fly fishing the mighty Tongariro has come to itsÂ a pretty sad time in my books. True colours came out on Wednesday when police were called to the bridge to speak with some locals-yes locals -about threatening to beat some persons head in with a rock! I’m not sure why this threat was made but I can imagine another angler wanted to have a fish but was seen to be moving in on some ones claimed spot . Sad to think that this has to happen between fly fisherman especially on such an iconic river and it’s time management of the fishery managed the fishery especially in these heated areas. Winter fishing traditionally has always been known to be fishing heavy with glo bugs for silver fish as they make their way to spawning water. It’s a little different this year with low water conditions and a very slimy bottom. There is food under each of those rocks in the way of Caddis and May fly and most of my big fish days have been when using natural patterns. Currently you should be using a light bomb followed by a Caddis, Hare and Copper, Prince nymph or something similar. Good news for most of you which don’t like long leaders with heavy flies. I use fairly small indicators which can slide, use a colour you can see easily as they are useless if you are loosing them in the light. Fishing will continue to be amazing for a while yet. You will not regret a trip to Turangi with your family or children currently as it will most likely be packed with memories of strong hard to land fish which many of you remember this fishery as. If I can help in anyway even if its just for some advice feel free to drop me an email.